MOSCOW, the Russian Federation (BulgarianMilitary.com) – Non-lethal weapons that are designed to be mounted on UAVs (unmanned aerial vehicles) and robots are currently being under development by the Russian State Corporation Rostec that, along with its subsidiaries, specializes in the elaboration, production, and export of high-tech industrial products designed for civilian and military applications. The information for the new development was reported last Friday (11th January) by TASS news agency, citing the press office of the corporation, learned BulgarianMilitary.com. Rostec’s statement says that the work, which is underway at the moment, is focused on improving the delivery of these weapons. 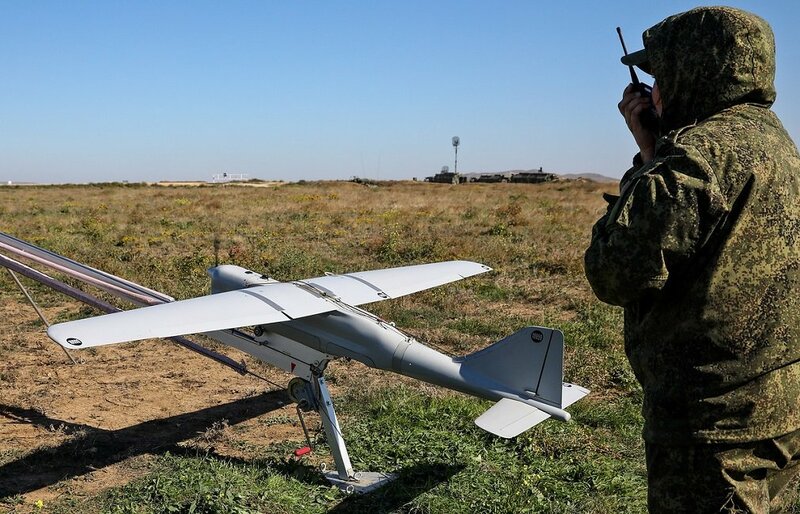 The Russia’s hi-tech corporation adds that they continue working on the development of the aforementioned special non-lethal systems, which further to be mounted on unmanned aerial vehicles and mobile robotic complexes. It was reported that the Russian state-owned holding company Ruselectronics Group, specializing in the production of electronics components, and which is fully owned by Rostec, is currently developing a new visual-optical interference device. This latest development can be used in special and counter-terrorism operations by police and security forces.